Since making his professional debut in 1986 at the age of 21 under the baton of Sir Alexander Gibson, Murray McLachlan has consistently received outstanding critical acclaim. Educated at Chetham’s School of Music and Cambridge University, his mentors included Ronald Stevenson, David Hartigan, Ryszard Bakst, Peter Katin and Norma Fisher. His recording career began in 1988 and immediately attracted international attention. Recordings of contemporary music have won numerous accolades, including full star ratings, as well as ‘rosette’ and ‘key recording’ status in the Penguin Guide to CDs, and ‘Disc of the month’ and ‘Record of the month ‘in ‘Music on the web’ and ‘The Herald’. McLachlan’s discography now includes over forty commercial recordings, including the complete sonatas of Beethoven, Myaskovsky and Prokofiev, the six concertos of Alexander Tcherepnin, the 24 Preludes and Fugues of Rodion Shchedrin, Ronald Stevenson’s ‘Passacaglia on DSCH’ the major works of Kabalevsky, Khatchaturian and the complete solo piano music of Erik Chisholm. McLachlan’s repertoire includes over 40 concertos and 25 recital programmes. He has performed the complete Beethoven piano sonata cycle four times, as well as the complete piano music of Brahms. He has given first performances of works by many composers, including Martin Butler, Ronald Stevenson, Charles Camilleri, Michael Parkin and even Beethoven! He has appeared as soloist with most of the leading UK orchestras. His recognition has been far-reaching, bringing invitations to perform on all five continents. At the same time he continues to give numerous concerts and master classes in the UK. McLachlan teaches at the Royal Northern College of Music and at Chetham’s School of Music in Manchester where he has been Head of Keyboard since 1997. 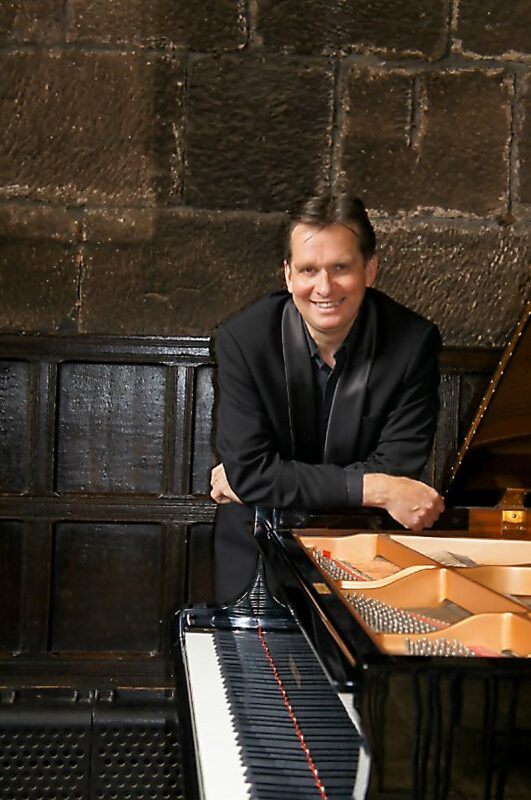 He is the founder of the Manchester International Concerto competition for young pianists as well as the Founder/Artistic Director of the world famous Chetham’s International Summer School and Festival for Pianists, Europe’s largest summer school devoted exclusively to the piano. As a teacher McLachlan continues to be very busy and in demand. Many of his students have won prizes in competitions and continued with their own successful careers as performers. Murray McLachlan is editor of ‘Piano Professional’ Magazine, as well as Chair of the UK section of the European Piano Teachers’ Association (EPTA UK). As well as performing and teaching, he is well known internationally for his numerous articles on Piano technique and repertoire. This includes extended columns which have appeared in ‘International Piano’ ‘Pianist’ and ‘Piano’ Magazines. In 2012 he was awarded an honorary doctorate by the University of Dundee for outstanding services to music and education. This follows on from a knighthood awarded in 1997 by the Order of St John of Jerusalem in recognition of his services to music in Malta.